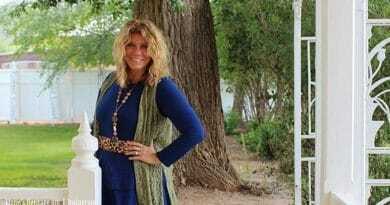 ‘Sister Wives’: Did Meri Brown Just Complete Her Exit Plan? 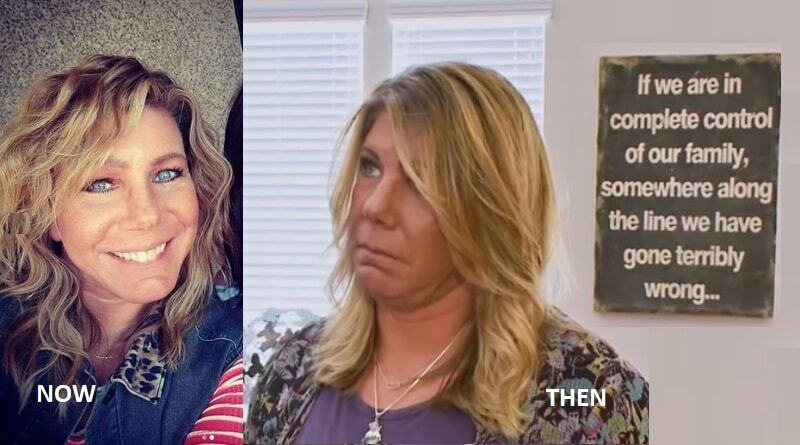 Sister Wives star Meri Brown looked irritated a few times this season as Kody Brown and his other spouses tend to harp on her about future plans. While Meri Brown has told them several times she’s still moving with the family, they don’t seem to believe her. 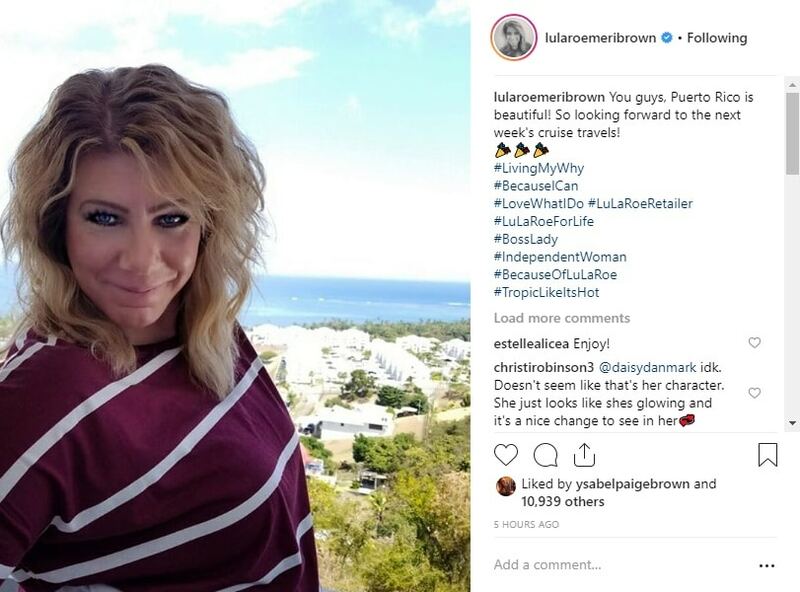 Fans of the SW show see Meri Brown distancing herself from husband Kody Brown as well as the other wives. But after some of the treatment that she’s endured, many of Meri Brown’s followers feel there’s a good reason for her to do this. 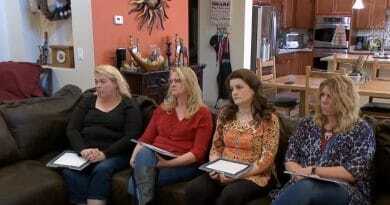 Sister Wives reality show only offers a peek into the lives of Kody Brown and his wives. Fans don’t see the majority of their interaction from day to day. Also, what they see now as each new episode rolls out isn’t new. They filmed these episodes months ago so what you are watching is leading up to the present day. Not only for Meri Brown but for the other family members as well. Meri Brown’s business venture seems to offer one of the biggest clues she’s about to go out on her own. Meri set up Lizzie’s Heritage Inn as a single owner. So it looks like she cut off any legal ties to Kody Brown as far as that business is concerned. Next, she also listed herself as “unmarried” on the warranty deed for the B&B. While it is a business that her mom runs for her, it could double as a residence for Meri as well. That is if she wanted it to. It looked as if Kody, Janelle, Robyn, and Christine worried about her moving to the B&B at the beginning of this Sister Wives season. Then, of course, there is Meri Brown’s hesitation about the move to Flagstaff Arizona that Kody Brown and the other wives picked up on. It would be hard to sell the Sister Wives show without Meri Brown. Even if she did have plans to branch out on her own, it would probably be kept under wraps until the show ends. Now with the filming over, chances are if Meri has gone rogue it would be kept quiet. As new episodes roll out, the family looks somewhat together. But the more recent episodes from the SW episodes brings even more doubt to that togetherness. As all the other wives secured homes in Flagstaff except Meri Brown. She’s also living out the summer in Vegas as previous commitments keep her in that neck of the woods. Meri has a few social media accounts and she keeps her Sister Wives fans updated. 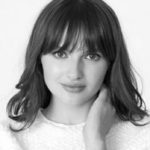 Along with updates, she posts photos as well. Meri Brown looks extremely happy. She’s either alone or with friends on her recent posts. One thing that’s missing is Kody Brown. Her posts over the last couple of months or so are not only void of Kody but the rest of the SW family as well. All except for her daughter Mariah Brown. Since January her Instagram posts feature only Meri and friends in the pictures. It’s void of Kody and the other SW spouses since the middle of that month. The absence of her Sister Wives spouses is duly noted by her followers online. They also mention how she’s never looked happier. Her most recent posts over the weekend indicate she’s on a cruise in Puerto Rico with friends. Once again, there’s no mention of Kody Brown. Maybe the viewers have watched Meri’s plan come together without even knowing it. Again the clues came through loud and clear in this season’s episodes. Meri didn’t seem invested in her role as a wife in a plural marriage. 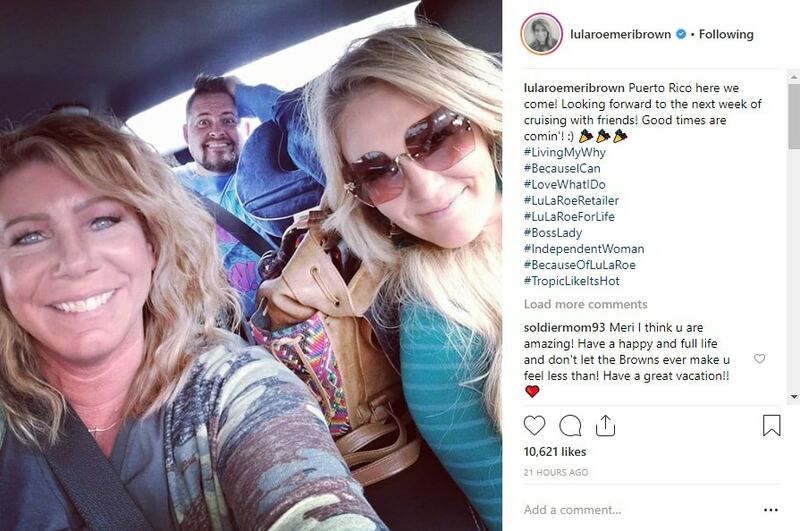 The first wife of Kody Brown still loves her mom role but it looks like she might be living life as an independent woman today. And it seems her fans are ecstatic to see her so happy while seemingly moving along. Make Soap Dirt your home base for the scoop on Sister Wives updates.